Let us begin with a basic definition. What was a “demigod” in Mediterranean antiquity? A demigod was any individual described as having one divine parent and one human parent, typically conceived by a male god copulating with a female mortal. Hellenistic and Roman society framed its existence within a dispensation that Hesiod described in his Works and Days as the Iron Age, a more mundane period just following the Age of Heroes. Ancient society romanticized about a past age when heroes and demigods walked among mere mortals. They saw these traditions continue in their present age in the form of honorific exaltation. As a means of canonizing the most significant figures, ancient society mythologized exceptional persons with divine birth and immortality among the gods. This was the governing paradigm for deification in the time and contexts whence earliest Christianity arose, i.e., in the principal urban cultural centers of the Roman world. Could any fresh, third-party observer not immediately perceive the pattern: a Judeo-Christian version of Zeus-Jupiter, with his own storied demigod son born of a mortal woman? Just who was this Zeus-Jupiter of Mediterranean polytheology? Following the canonized work of Hesiod (in his Theogony), we see a deity much like the Yahweh of Hebrew Scriptures, a supremely powerful god of mountain, thunder, and sky, master judge of all. 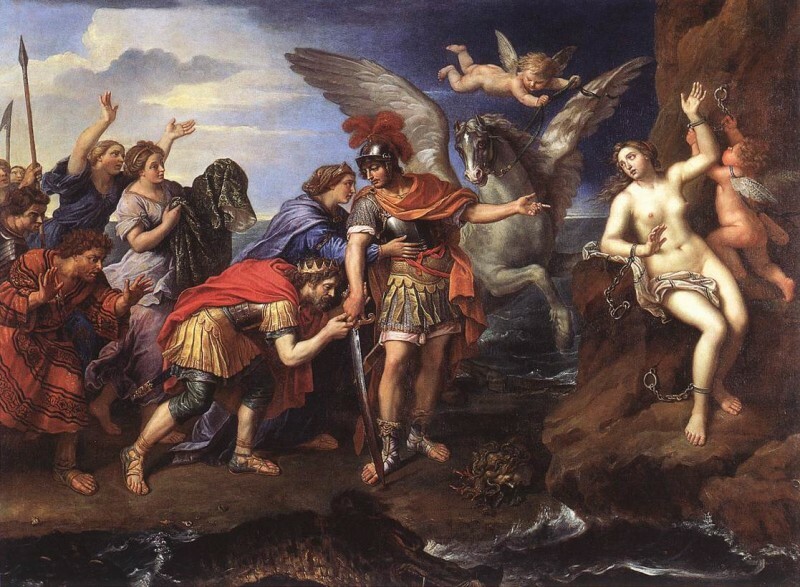 Unlike the Hebrew deity, however, Zeus-Jupiter had offspring with mortal women, siring a vast gallery of demigods in classical myth and legend. In Resurrection and Reception, I give a lengthy, though not at all exhaustive, catalogue of such individuals. These tended to fall under two different types: fictive figures of pure mythology (i.e., from the Age of Heroes, e.g., Heracles, Castor, etc.) and lionized figures of legend and sacred history (i.e., from the Iron Age, mostly deified rulers and founding figures). Alexander and his successors in the Hellenistic kingdoms, as well as the Caesars (many granted the appellation divi filius) often obtained this honorific exaltation in sacred legend and propaganda. In my next essay, we shall look at the divine birth myths found in the the New Testament Gospels, as these developed out of Mark, and their conventional and mimetic relation to other prevalent tales of divine parentage in Hellenistic and Roman culture. Connect with Richard C. Miller on Facebook.